A beautiful Pink Dolphin lives in the virgin waters of the Amazon River in South America, where he dreams about traveling to other rivers in the world. A beautiful Pink Dolphin lives in the virgin waters of the Amazon River in South America, where he dreams about traveling to other rivers in the world. But when he meets a group of scientists who are exploring the Amazon, he not only learns how amazing his home is, but also that he himself is quite unique! 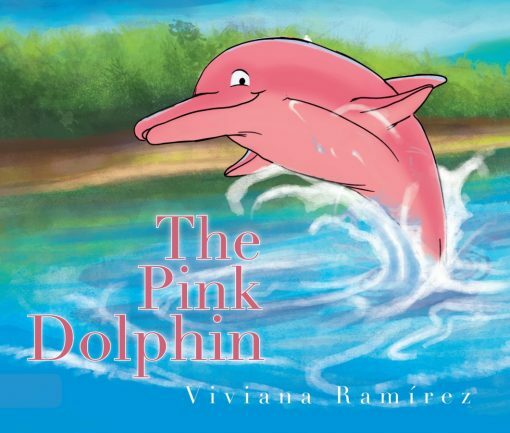 The Pink Dolphin includes a Spanish translation, El Delfín Rosado, allowing kids to learn about the beauty of both the Amazon River and the Spanish language.